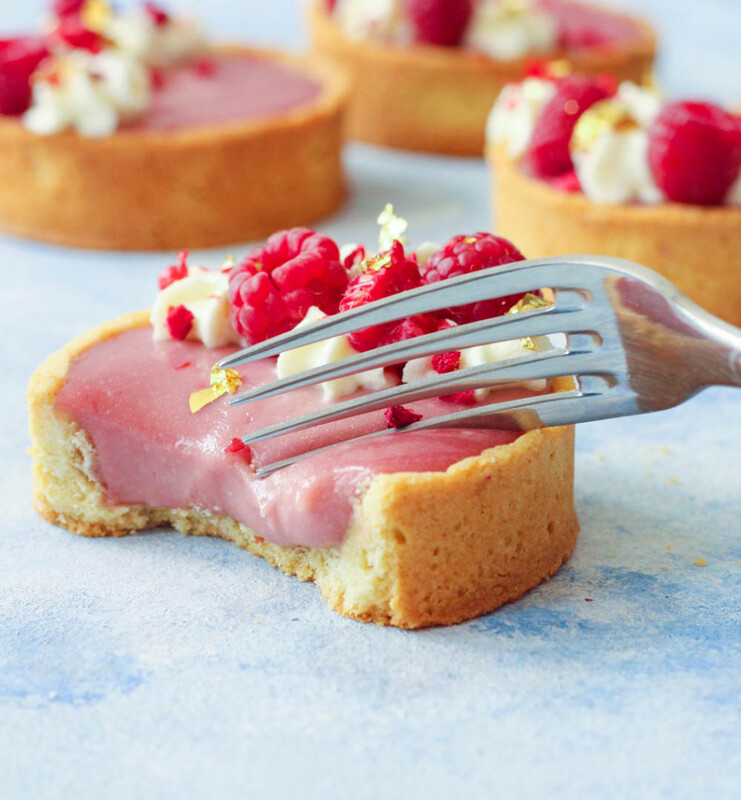 Pink peppercorn, raspberry and Rose tarts are one of my new favourite flavour combinations. 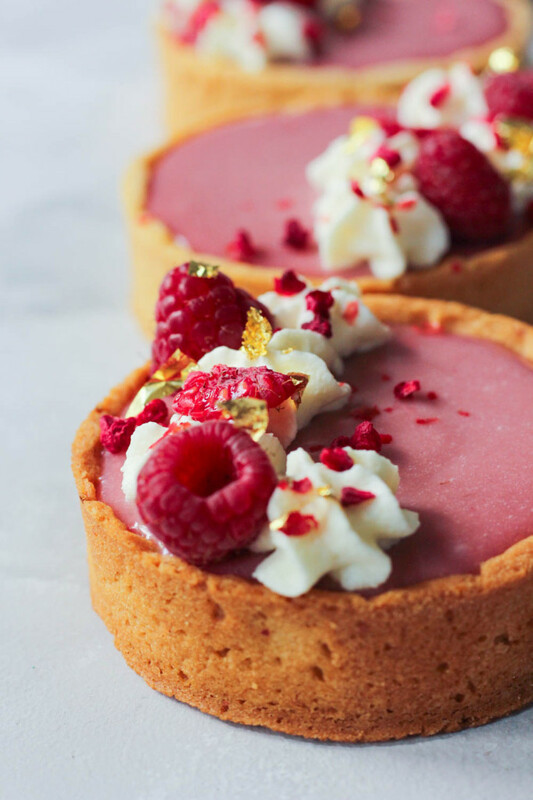 The pink peppercorn is subtle which works well with sweetness in the tart and the tart flavour of raspberry. 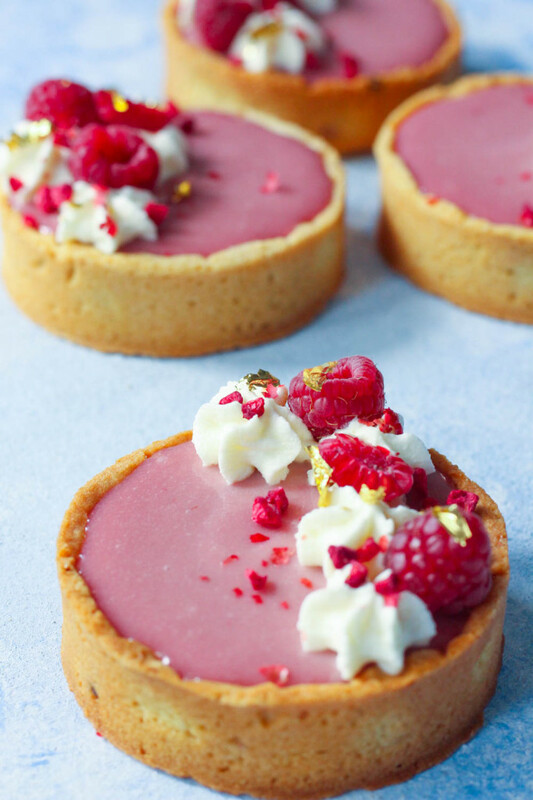 All rounded out with a beautiful floral touch for these lovely pink tarts. Making tarts is such an art, like any fine pastry. In the past few years I’ve taken a greater interest in French pastries, and I don’t know about you but all those videos and posts online can be quite mesmerizing. So these mini tarts, are perfect for just one, for when you’re ready to indulge. Or if you’re really a nice person share one, your call. The pastry recipe will make much more than 4 tarts! Keep the extra dough in the freezer for those last minute guests that pop by for tea or dinner. You can easily whip up a fruit tart; bake the crust, pour in some prepared custard and top with fresh fruit and cream. 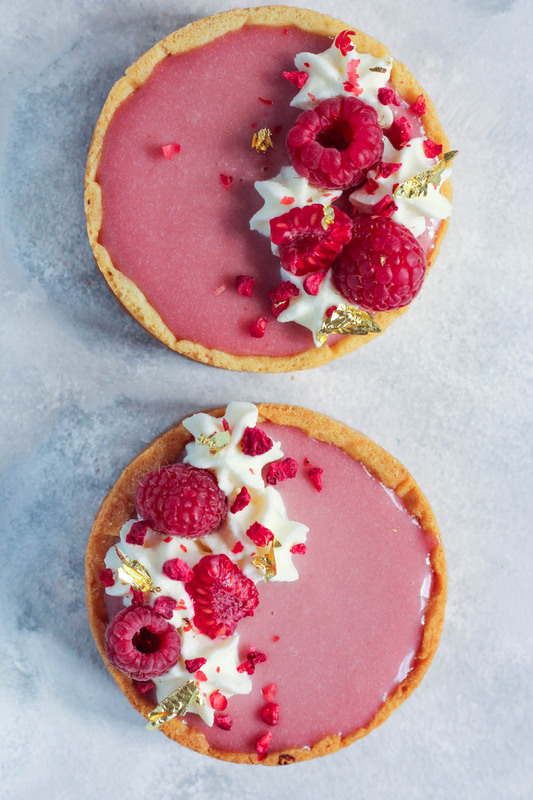 These Pink Peppercorn, Raspberry and Rose tarts can be quite a mouthful to say but they’re so lovely. 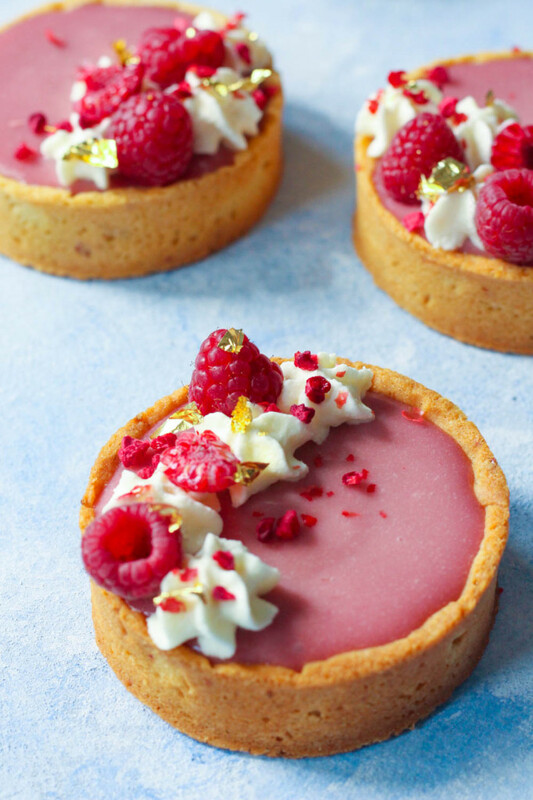 Dainty tarts filled with raspberry and a hint of floral rose flavour. Put the butter in a mixer bowl and with a wooden spoon, cream until smooth and creamy. Add the sugar, ground almonds, and pink peppercorns. Mix until combined. Add the eggs one at a time, fully incorporating the previous one before adding the next one. The dough may look curdled but that’s normal, it will come together once you add the flour. Sift the flour and salt. Add to the dough in 3 additions until just combined. Do not over work. Form dough into a disk. Wrap with plastic wrap and store in the fridge overnight. Or up to 4 hours before using. Grease 4 crumpet rings with butter (3” inch rings, 2cm high). 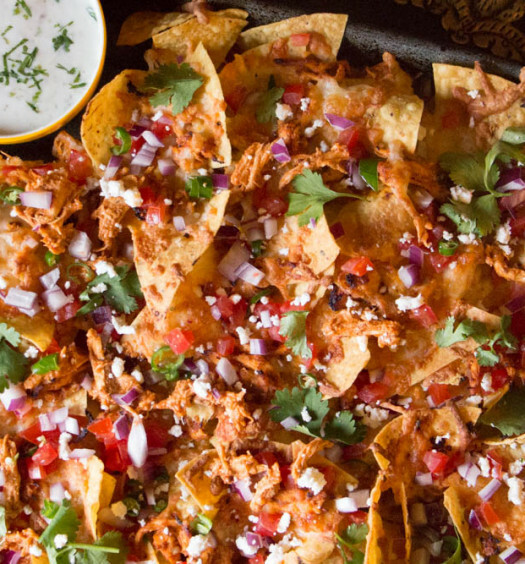 Place them on a parchment lined baking sheet that will fit in the fridge. 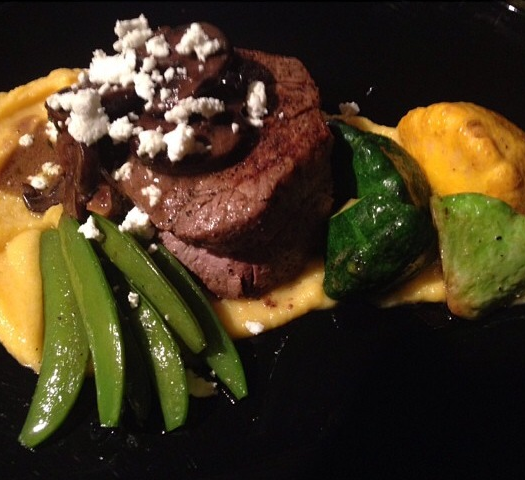 Remove disk from the fridge, and roll it on a well floured surface. Working quickly in order not to overwork the dough or for it to soften (can also roll between two sheets of parchment paper). Cut circles out of the dough about 1 inch larger than the rings. Line your tart pans with the dough. Press into the edges flush to the tray. To get a clean edge, push up the dough no the edges and trim with a very sharp knife. (Alternatively- keep a little overhang – see step 11). Put the tray in the fridge for at least 1-2 hrs to rest. Preheat the oven to (180C) 350 F.
When you’re ready to bake, put a parchment paper on top of the dough and fill the bottom with either rice or beans. 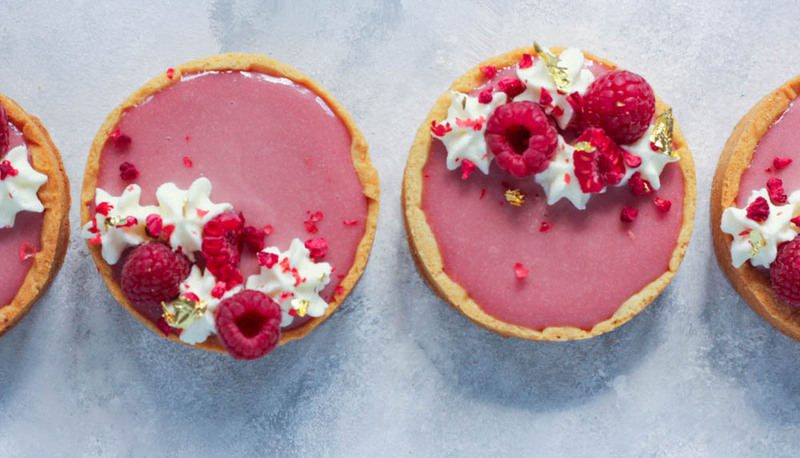 While the tart dough is cooing, make the raspberry and rose cream. On a double boiler, combine the sugar, eggs, raspberry purée and lemon juice. Stir constantly until the mixture reaches 85-86 C and is thick like curd. Strain the mixture and let cool to about 55-60 C and put it in a blender or a food processor if you don’t have one. Add the butter a couple of pieces at a time, to make an emulsion. The mixture will lighten in color. Continue running the blender for a few minutes after all of the butter has been added to ensure the airy and light cream. Pour the mixture into prepared crust up until the rim and refrigerate until set, about 1 hour. 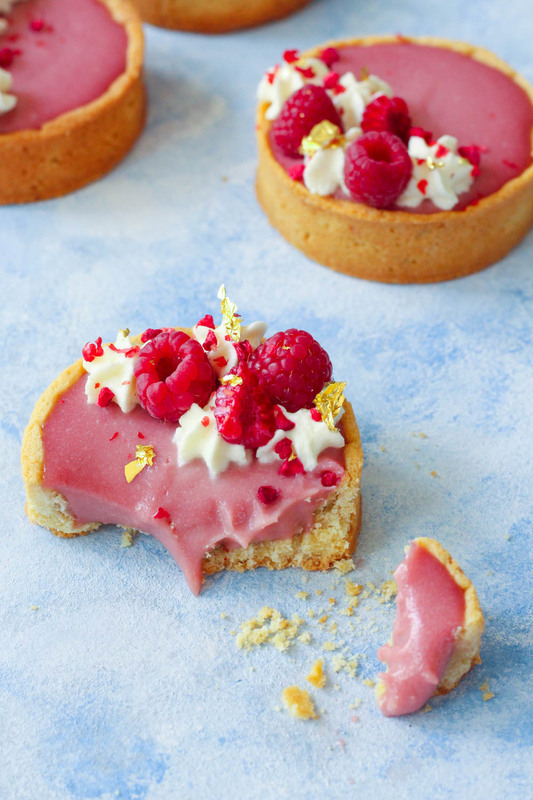 - These tarts will keep well for up 2 two days in the fridge before they may become soggy. - The tart dough makes extra- you can make up to 8 tarts. 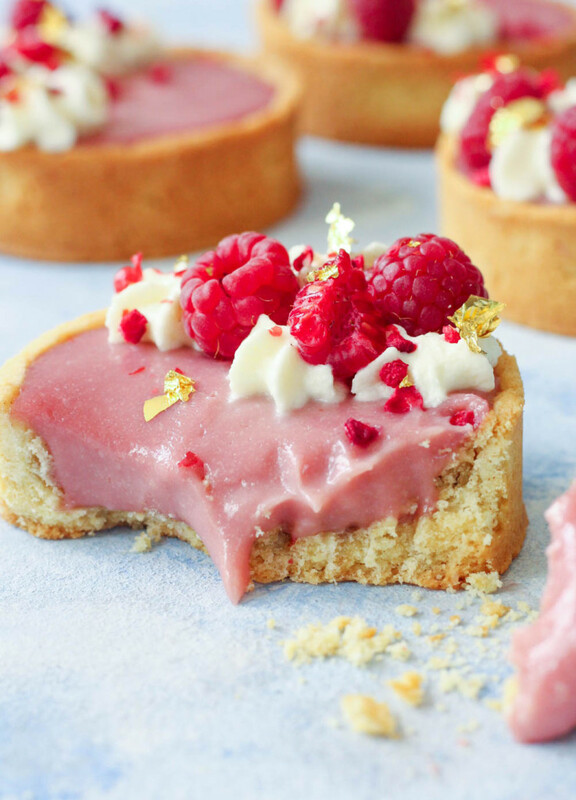 Keep the remaining tart dough wrapped well and frozen and defrost in the fridge overnight.